The welcome return of the City College supper club with special guests, hosted by David FitzGerald. Next evening is March 30th. Enjoy an evening of questions with good food! Special guest speakers include James Deacon, Sales and Service Manager at Clever Student Lets, Adrian Dawson, Head of GAIN Projects and Partnerships at Plymouth University and Jay McDonnell, General Manager at Popworld and the Chair of Best Bar None. 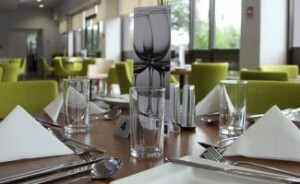 The business supper club cost £17.50 per person, including a two-course meal with wine.